The social and community site Google+ continues its resurgence and today another update to the Android app for the site has been released. Like many of the releases for the app over these past few months, this one is chock full of changes which most users will appreciate almost immediately. 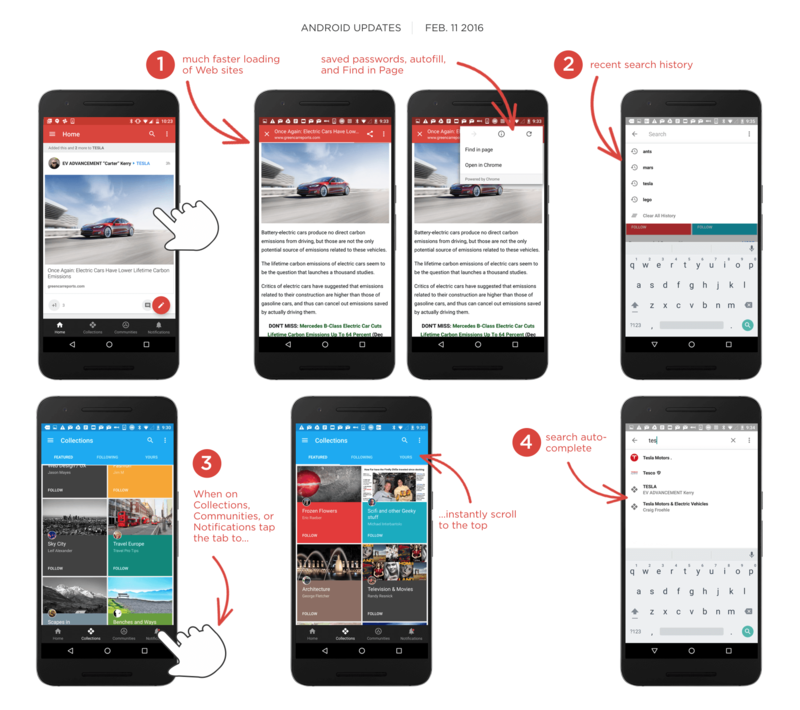 The news originally came from Google’s Luke Wroblewski on his Google+ page where he outlined the changes in the release which has rolled out to the Google Play Store already. You will be looking for version 7.2.0 for those keeping score at home and if you already have the app installed, an OTA update should be coming your way very soon. The biggest change in this update is how the app deals with external web pages. The app is now using Chrome custom tabs to pre-load websites. The result for us end users is that we have a much faster loading experience of those external links. Further, if you are signed into a website in Chrome, you will also be signed into that site when you visit it from Google+. I have done some testing on this feature for this post on my Nexus 6 and frankly, it is on an order of magnitude faster. This feature along makes this update worth getting in my opinion. But wait, there’s more! In all, 29 defects were addressed in the update, 10 accessibility issues, search history and auto complete are now supported and auto-scroll to the top of the page in Collections, Communities and Notifications. Just tap the top bar to go all the way back to the top of the display without having to swipe your way back up. All of these changes are a result of users providing continual feedback to the Google+ team and it is great to see that they are listening as they continue to shape the app. Google+ is of course free and it has become my primary social network with its focus on communities. If you haven’t visited in a while or ever, I highly recommend giving it a try. This is not the same site as it was just 6 months ago.